Knockout Cameo contrast for a 1959 Lincoln! 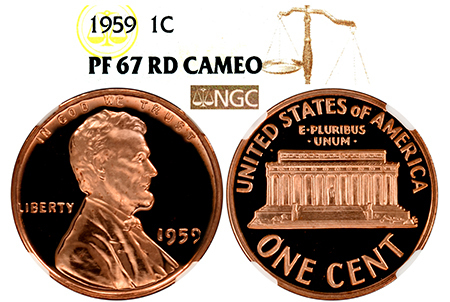 1959 was a weak year for Cameo, and Lincolns are some of the toughest to find in Cameo condition! 1 of only 263 examples graded, this gem boasts fully frosted, snow-white Cameo devices on deep mirrors. Incredible black-and-white Cameo contrast rare for a 1959 Lincoln!